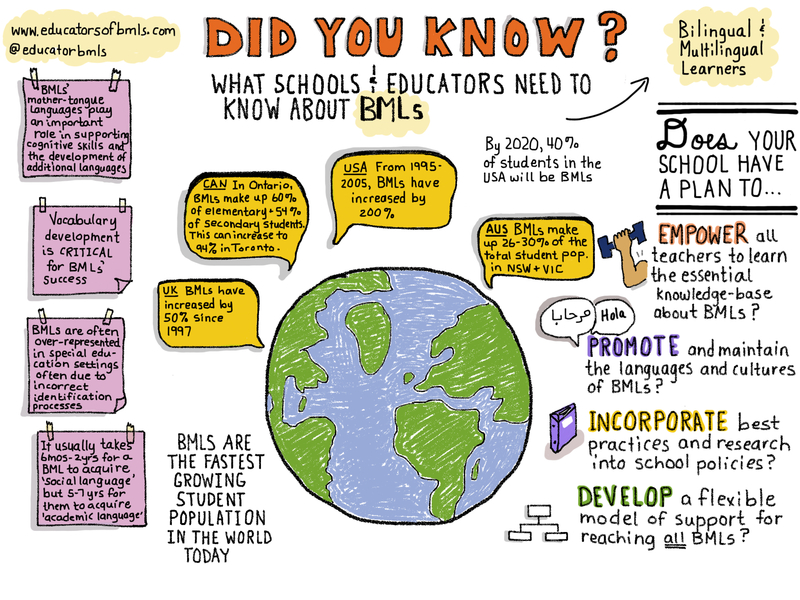 We are the Centre for Educators of Bilingual and Multilingual Learners (BMLs), a UK-based social enterprise with a mission to spread expertise about bilingual and multilingual learners to schools and teachers worldwide. Through our innovative online courses and consulting services, we promote high-quality, equitable education for bilingual and multilingual learners. 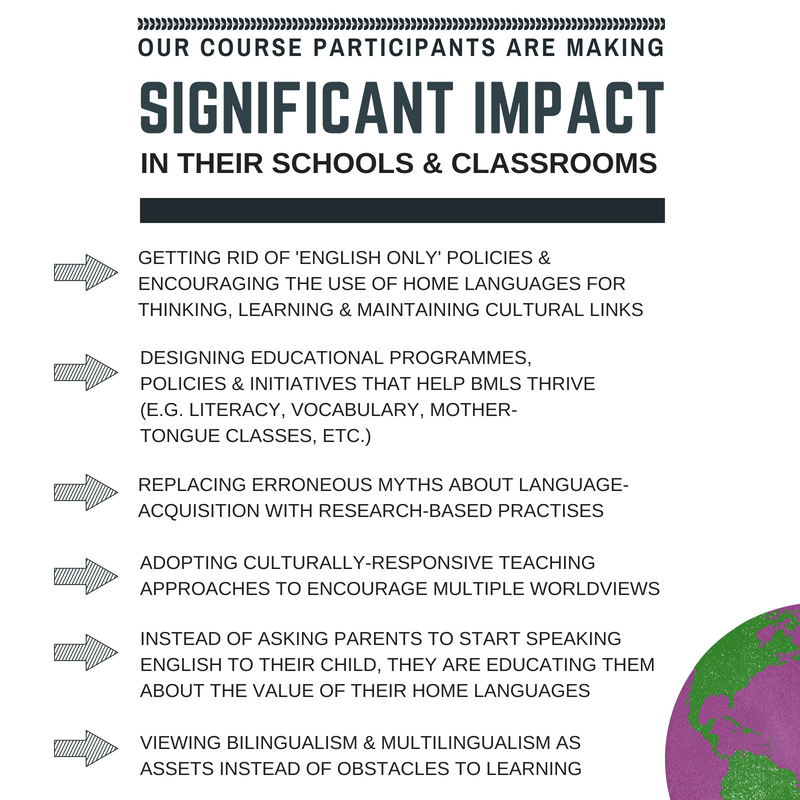 From Ecuador to Singapore, our teachers are reporting transformative experiences as a result of learning about BMLs in our courses and trainings. See our testimonials below.